Black Radiance Complexion Perfection Shine Control Primer- It's Everything I've Been Looking For in a Primer! I've used quite a number of face primers (everything from Smashbox Photo Finish, the ole Monistat Anti-Chafing gel, Laura Mercier Foundation Primer, LORAC AquaPrime, L'oreal Studio Secrets Magic Perfecting Base... the list goes on) but I've never really found that that I absolutely loved 100%. There was always something that I thought could be a little better or it just didn't really prime my face. 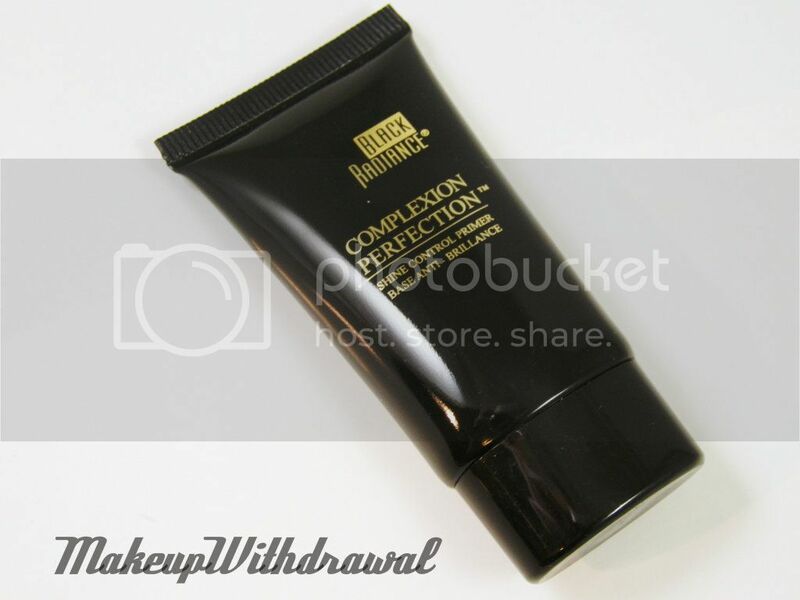 That all changed when I tried the Black Radiance Complexion Perfection Shine Control Primer. Magic in a tube, I tell you. I bought this from Drugstore.com when they had their 40% off sale because BR is not a brand that I can find easily where I live. Priced at around $5.99 usually, it's already a bargain find. 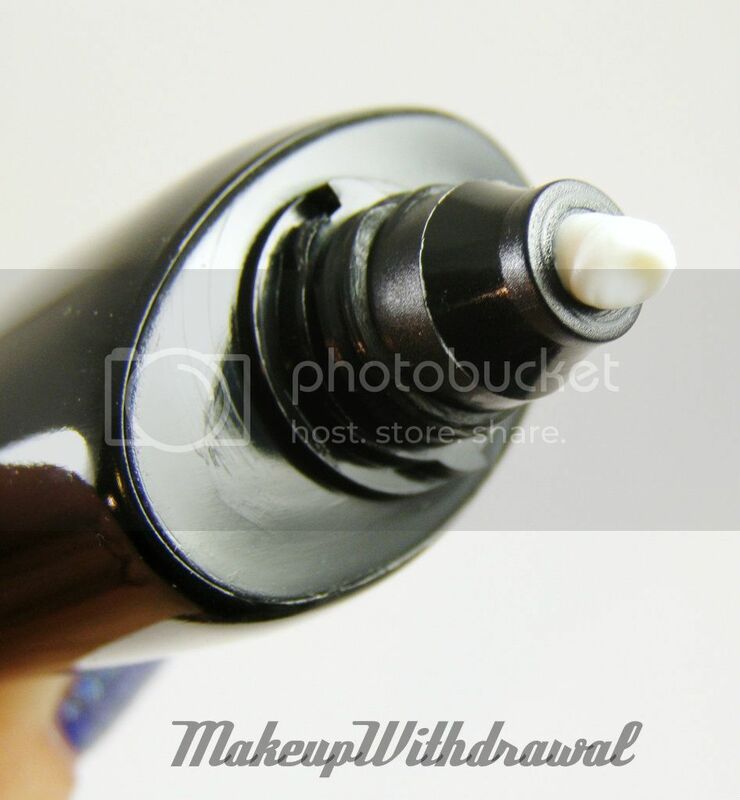 It starts out as a white colored creamy fluid but I find that it blends invisibly onto my skin. There are so many great things about this primer that I'm just going to list them all. Smoothed out my skin considerably, made for a really great base for concealer, foundation etc. Pores looked much smaller! Kept my t-zone oil free for a much longer time than usual, only had to blot maybe once near the end of the day. While simultaneously keeping my t-zone matte, it did not make the dry areas of my face even flakier (chin, jaw, parts of my forhead). In fact, I feel like it helped my skin retain my moisturizer that I applied underneath. Helped my foundation last a pretty long time too. It looked almost as great as it did when I started the day. Not as slick feeling as a lot of other silicone based primers. Uhm, the price. $5.99 for a .84oz tube! I'm beyond thrilled with this primer, it really delivers everything that I was looking for in a primer but at a fraction of the cost of some of the other ones that I have used. Heck, even for a drugstore product it's cheap! What's not to like? Have you tried this particular primer? Did you like it? Or is there a primer in your life that is your Holy Grail?